Ready for more? Follow Wags & Walks on Eventbrite to keep up with their events and happenings. As a society, it’s rare that we all agree on anything. Politics are divisive, but so is trying to find a restaurant that satisfies your group’s different dietary restrictions or a movie that all your friends are willing to spend $17 to see. And these days in Los Angeles, finding common ground between East and West siders, Clippers and Lakers fans, and Gracias Madre and Belcampo patrons can feel harder than ever. But there is one thing that brings together Angelenos from all backgrounds, neighborhoods, and views on veganism: helping dogs in need at Wags & Walks. After all, there’s a reason dogs are considered man’s (and woman’s) best friend — because if there is any great equalizer, it’s slobbery dog kisses and cat toe beans. In LA, there’s no better place to get a furry friend for a day or for a lifetime than Wags & Walks, an adoption center and animal rescue based in West LA. 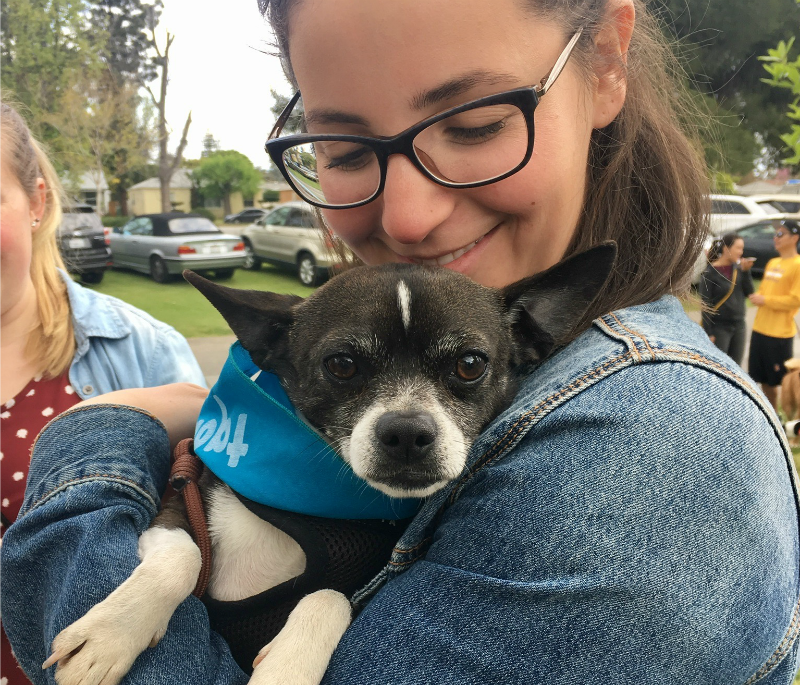 With the passing of California’s ban on the sale of animals from breeders in December 2018, Wags & Walks is leading LA toward a brighter future for local dogs in need of forever homes. 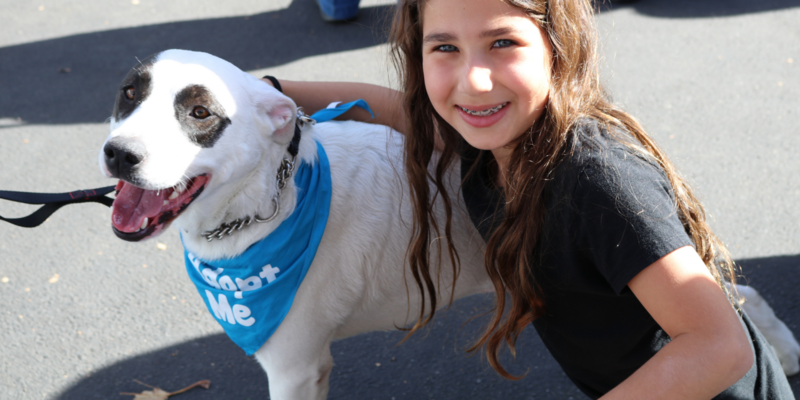 Wags & Walks was first launched in 2011 by Lesley Brog, the daughter of a veterinarian who was devastated by the number of animals being euthanized due to overcrowding in LA shelters and eager to change the public perception of rescues. “When founded, Wags & Walks’ main goal was to break the stigma that rescue dogs are damaged goods and to help decrease the number of dogs euthanized in local shelters,” Chloe Esperiquette, Wags & Walks Volunteer and Development Coordinator, told us when we spoke. Wags & Walks was also founded with the goal of shifting the narrative around what kind of animals can be found through adoption. “You can find wonderful dogs of all breeds, ages, and sizes through rescue,” Chloe explained. This founding principle has stayed consistent, though Wags & Walks has grown into much more than just a rescue over the past seven years. In January 2018, the Wags & Walks Adoption Center opened in a two-building, 4,000-square-foot space in West LA. 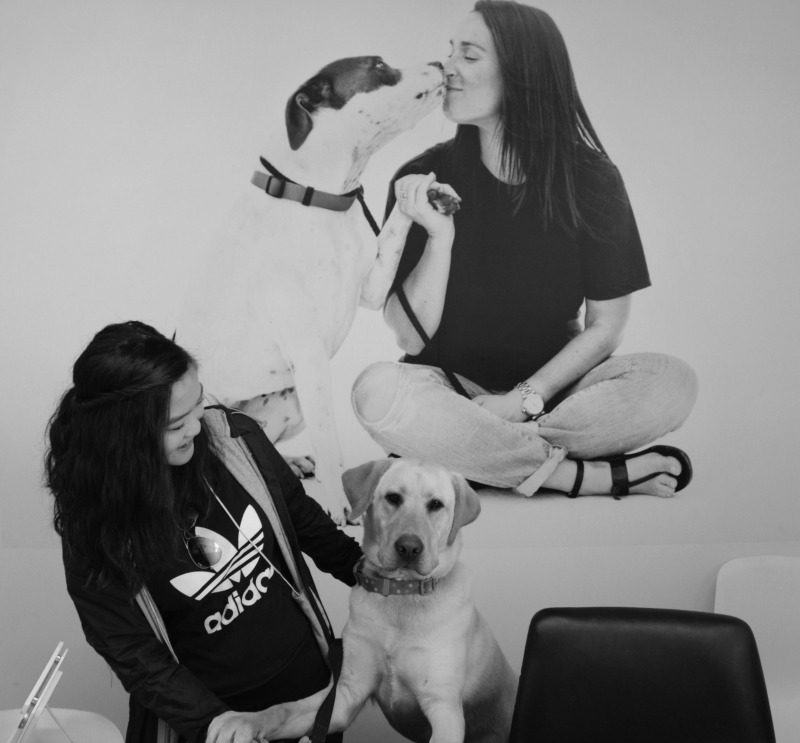 “Our facility is a bright, healthy, and calm environment where the community is welcomed to learn more about the benefits of pet adoption and where we showcase our dogs in the best light — both literally and figuratively,” Chloe told us. This is a priority for Wags & Walks; since shelters can often be dark and sad places reminiscent of jails, they strive to create a space that better reflects the spirit of the dogs housed there. 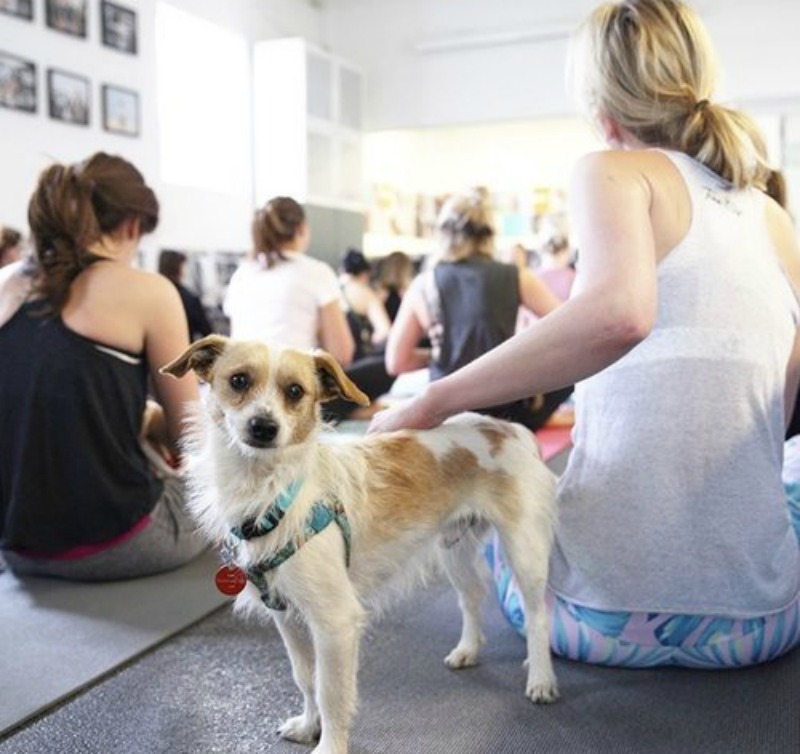 “With an inviting and calm environment, our dogs are healthier and happier,” Chloe explained. “This leads to increased adoptions and shortens their length of stay.” In fact, the new space helped Wags & Walks save more than 1,200 lives in 2018; in total, they’ve helped more than 4,000 animals since the organization was first established. But their light and bright adoption center isn’t the only thing that makes Wags & Walks different than other shelters or rescues. “We do not select dogs based on their size or age or even their breed,” Chloe explained. “We hand-pick our dogs based on their temperament and their likelihood to thrive when placed in the proper home.” By leveling the playing field in this way, Wags & Walks has been successful at both taking dogs in and getting them back out — their goal is not to support these dogs for life, but to quickly and seamlessly get them into homes. Of course, Wags & Walks relies heavily on volunteers from the local community to give the dogs the lives they deserve in and out of the adoption center. For those who might not be able to take an animal into their home but want to spend time with the adoptable dogs at Wags & Walks, the best way to support is through the Wags Club program. “Wags Club volunteers walk, feed, and care for the dogs whether it’s once a month, week, or all the time, while our pups wait for their forever homes,” Chloe explained. This no-pressure option is great for those looking to get all of the tail wags and belly rubs without any of the long-term commitment — at least until you fall in love with one of the dogs up for adoption. In addition to Wags Club and the foster program, Wags & Walks also runs a robust event program geared toward educating the public about rescue animals and raising money for the adoption center. Popular events include bingo nights at Hamburger Mary’s, Puppies & Pliés barre classes, and LA Kings hockey games. Additionally, Wags Kids! hosts kid-friendly programs like Paws and Pajamas, a bimonthly event where children read to shelter dogs. But when it comes to Wags & Walks, the best is yet to come — after all, 2019 is their first full year with the adoption center facility. However, the organization plans on staying true to its core values and mission statement. “Wags and Walks would like to continue saving as many dogs in need as possible and to get more of the community involved in rescue,” Chloe told us, adding that they hope to continue breaking the stigma around rescue dogs. “At Wags and Walks we like to focus on our dogs’s futures rather than their pasts, and wish others would do the same,” Chloe explained. The Wags & Walks Adoption Center is open to the public Monday–Sunday, 12–8pm. Want more? Follow Wags & Walks on Eventbrite to keep up with their events and happenings.